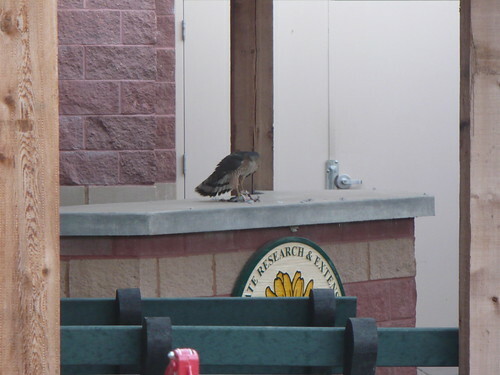 A hawk having breakfast…on our nice new demo table… I’m not sure what is being consumed, since I didn’t want to get any closer. Judging from the feathers floating around, I’m guessing it was a bird of some sort. Any ideas on how to clean a concrete table top? Posted on December 3, 2012, in Around the Garden and tagged birds. Bookmark the permalink. Leave a comment.